Following the good turn out of Welsh clergy at the sacred synod in London there is some word going around that nothing is going to happen in Wales. There is I suppose a natural inclination to be pessimistic until one actually sees something in place and I understand this. I would however be very surprised if there were not at least some Mass centres and church sharing arrangements( from sympathetic incumbents and dare one hope Bishops too) that could be put in place sooner than later. We should remember that the good Anglo-Catholics of Wales have been orphaned from their Provincial Assistant Bishop for some time. The Church-in-Wales' nationalism gives expression in it's extravagant resources given to two languages irrespective of their use in large swathes of the majority of the country and the maintenance of multiple archdeaconeries, tiny Bishoprics and all the expensive paraphernalia of offices in central Cardiff and the Diocesan offices and their separate managers and property departments, staffing, publications and the like. All these are bleeding the church dry in the face of falling numbers,with a few exceptions, and rising costs. If one was to take a very limited guess and say that traditionalists whether they stay or go were to divert say 15-20% of the existing funds away from the liberal ascendency to the traditional Ordinariate, which like it's Roman Catholic partners will maintain a sensibly joint hierarchy for England/Wales, then one can imagine further crisis management away from mission being necessary as the declines accelerate. This is NOT something to score points over however. We need each other in a new ecumenical situation of two churches in a small country with Christianity itself under attack here as much as anywhere. The relations between RC's and the Church-in -Wales have been more than cordial and I see no reason why this should change. It is time to accept that the traditionalists in Wales have been squarely defeated and we should now accept that. We could have hoped for a more ecumenical treatment from within our own church but WE DID NOT GET IT and nor will we, in spite of some dreamers who are waiting for Bishops to retire for things to change back. Liberals never admit they were wrong and go back. So what is the future for the Ordinariate in Wales which we hope will develop as new Roman Catholics with Anglican roots and shared history and hopefully on good terms with the Anglican Church-in-Wales? 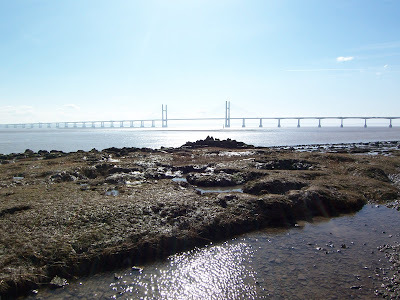 At present it is a case of those interested registering with their nearest Ordinariate group which is currently on St. Augustine's side of the Severn estuary. This so as to be kept informed and to prepare for a possible conversion as a group without any obligation to do so. One will eventually be able to support it financially so that it can provide for those of us in Wales. To make contact you can do so by contacting Fr. Paul Spilsbury at the Bristol group here paulspilsbury@btinternet.com It will I predict be slow to start and soon establish and spread to the South of Wales and outwards. It will never cover all the old parish or even deanery areas but who knows? All is in God's hands and He will want us all, whichever route we take, to remain in fellowship and love with those who have 'won' and those who have been 'defeated' in the purely human and deeply sinful power struggle that we all seem to get caught up in this earthly life. Seeking Unity in Christ surely means continuing to pray for those with whom we disagree and who knows where that may eventually lead them to? !